This latest edition of the Product blog comes from PeopleDoc head of UX, Nicole Harris. To read previous posts, click here. At PeopleDoc we understand that our users want to be efficient in their work, so our goal is to create interfaces that are simple, intuitive and empowering. As part of our ongoing efforts to improve our platform for our users, we have been developing an internal design system that will guide our design and product teams in all future design decisions. Users of our Employee File Management solution will soon have the opportunity to experience the first pages built with our new system, so we felt the time was right to introduce you to some of our goals as well as our approach to designing for our users. Help users learn and grow by applying existing design solutions to new problems. For users to truly enjoy using our software, they need to feel that they have mastered our solutions. The best way we can support this is by ensuring every interface we design is consistent. Reusing and re-enforcing design patterns reduces user fatigue and helps users intuitively understand how to use new functionality. Respond to user requirements by assessing available data. Don't assume you know what the user needs. Always take the time to find out by looking at their behavioural patterns and assessing their requirements. Be thoughtful and considered by responding to the usability and accessibility requirements of our users. Provide a helping hand when and where it is needed. Many of our features are large and complex. This means that we should never assume that the user understands everything they can (or should) do on a page. Always label things clearly and provide contextual help. Remove unnecessary distractions to help the user focus on the task at hand. Only show the user what they need in the context they are in. When things are too large and difficult, break them down into smaller steps. In the coming months, we hope to share more information on how we are applying these principles across our solutions, so subscribe to the product team blog to keep up to date! Nicole Harris is the head of User Experience at PeopleDoc. 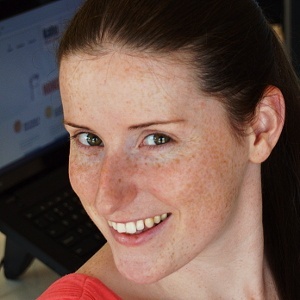 She works closely with designers, developers and product owners to deliver better experiences for all PeopleDoc users. Nicole holds a Bachelor of Arts, Media Arts (with distinction) from Deakin University, Australia. She is a published O’Reilly screencaster and regular speaker at technical conferences. She lives in Perth, Scotland.